© 2017 Trivedi et al. The number of anterior cruciate ligament (ACL) injuries reported in skeletally immature athletes has increased over the past 2 decades. The reasons for this increased rate include the growing number of children and adolescents participating in competitive sports vigorous sports training at an earlier age and greater rate of diagnosis because of increased awareness and greater use of advanced medical imaging. There is a growing need for a consensus and evidence based approach for management of these injuries to frame a dedicated age specific treatment strategy. This article does a systematic evidence based literature review of management of Pediatric ACL injuries seen in several forms: tibial eminence avulsion fractures partial ACL tears and full thickness ligament tears and its outcome analysis. The mechanism of Safe and effective surgical techniques for children and adolescents with ACL injuries continues to evolve. The numerous age matched techniques are extensively discussed. Neuromuscular training can reduce the risk of ACL injury in adolescent girls. This review outlines the current state of knowledge on diagnosis treatment and prevention of ACL injuries in children and adolescents and helps in guiding the treatment through a dedicated algorithm. Keywords: Adolescent, ACL injury, ACL reconstruction, Treatment algorithm, Post op rehabilitation, Injury prevention. Pediatric and adolescent Anterior cruciate ligament (ACL) injuries are becoming increasingly common throughout the world as more and more children are engaging in physical activity and competitive sports. Recent Literature point to a high incidence of ACL injuries in skeletally immature athletes and show that these injuries account for about 31% of all knee injuries in soccer players between the ages of 5 and 18 years . Another study  reports an incidence of ACL tear of 47% in preadolescents and 65% of adolescents who present with an acute knee hemarthrosis. There are 4 types of ACL tears commonly seen in pediatric population  Cartilagenous avulsions . Bony avulsion or tibial eminence fracture  Mid substance complete tears and  Partial tears, this varied spectrum of injuries can make accurate diagnosis difficult. The other important challenges in this age group are potential risk of recurrent instability, secondary chondral and meniscal injuries following non operative treatment [3, 4] and the risks associated with surgical treatment due to vulnerability of open epiphyseal growth plates [5-8]. Further, if surgical treatment is chosen there is controversy over the appropriate method of reconstruction as well as selection of the graft material and its fixation. Finally, the post-operative rehabilitation protocol can be tricky in the pediatric patients with respect to proper adherence with increased risk of re-ruptures. The aim of this review paper is to  discuss the patho-biomechanics of ACL injury in pediatric patients  outline the preoperative diagnostic evaluation of a pediatric patient with a suspected ACL injury  highlight the unique anatomical and physiological characteristics related to ACL reconstruction  outline the current evidence based management of these injuries  Discuss specific post-operative rehabilitation protocols and finally to review the age specific injury prevention treatment strategies. The ACL injured children usually give a history of a non-contact injury with an audible pop followed by a rapidly developing hemarthrosis and difficulty in returning to sport initially but with time these young athletes ignore the injury and continue playing sports with recurrent episodes of instability and often return to physician only when experience extreme pain or severe locking due to secondary chondral or meniscal injuries [3, 4]. The weight bearing period after ACL injury is typically delayed in children as compared to adults. In children presenting with acute traumatic hemarthrosis and severe pain it is better to take radiographs first before the clinical exam to rule out a tibial eminence fracture. The clinical examination of these patients is essentially on the same lines as the adults though it is more difficult to perform. A complete and careful Knee examination in comparison to the opposite knee is a very important tool in establishing the correct diagnosis of the ACL tear. In a relaxed patient Lachman (Fig. 1) and pivot shifts test are reliable indicators of ACL injury, though some studies recommend pivot shift test to be better predictor for injury and also an important aid in deciding the surgical treatment . Through range of motion assessment, joint line palpation, McMurrays testing, careful physeal palpation, varus, valgus stress tests, patellar stability tests are done to rule out other associated meniscal, chondral, physeal, patellar and ligamentous injuries which have an important bearing in the choice of the treatment to be employed. Fig. (1). The Lachman Test. Knee series X-rays are done which include the AP, Lateral, notch/tunnel and skyline views. 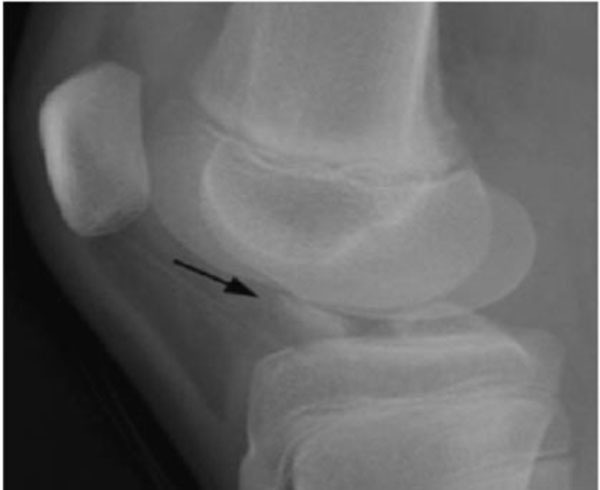 In children with less pain, AP and Lateral radiographs can be performed in weight bearing position and special emphasis is given to obtain a perfect lateral X ray to rule out a tibial eminence fracture (Fig. 2). MR Imaging is a very useful tool in diagnosing the ACL tear in an acute setting when the clinical exam is difficult and has shown to increase the sensitivity and specificity of diagnosing a complete ACL tear to above 90% [14, 15]. (Fig. 3) MRI is extremely useful in picking up associated meniscal, chondral and ligamentous injuries, cartilagenous avulsion of ACL, Physeal separations and an undisplaced Type 1 tibial eminence fracture. The sensitivity of MRI in detecting partial ACL tears is poor [16, 17]. Diagnosing a partial tear is difficult and requires a combined careful pivot shift test evaluation and detailed MRI analysis to formulate a correct treatment plan. Fig. (2). The perfect lateral X-ray to diagnose tibial eminence fracture. Fig. (3). Sagittal MRI showing a complete ACL tear in a pediatric patient. 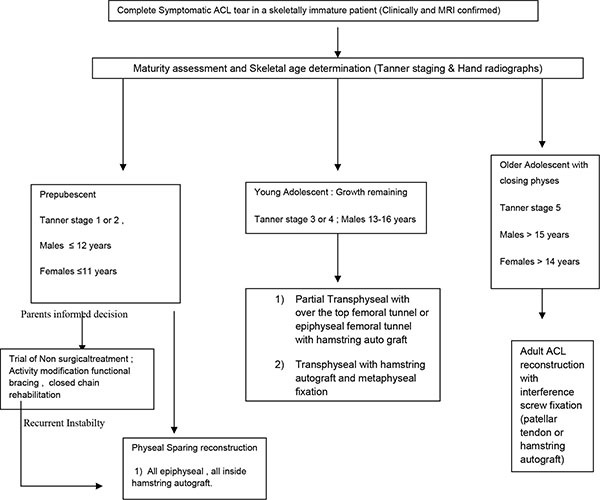 A careful maturity assessment with respect to remaining growth potential is extremely important to plan the correct treatment of ACL injuries; the main dilemma is whether surgical treatment should be provided before patients reach skeletal maturity or whether non-operative treatment should be provided until the physis has closed. Surgical reconstruction risks physeal damage and resultant angular deformity and limb shortening, while delaying surgery may increase menisci and cartilage damage. The best physiological age assessment method is Tanner staging  (Fig. 4) and to estimate the skeletal age, left Hand PA X ray is taken and compared by Greulich and Pyle atlas [19, 20]. Both methods give reliable indication of remaining growth left and help in planning the correct treatment choice. MRI also has been suggested to be a good radiation-free method to determine skeletal maturity in the future, although further validation of this measure as well as cost benefit analysis is needed [21, 22]. Fig. 4. Tanner staging chart. The treatment of ACL tears in the pediatric patients remains challenging and controversial. An ACL tear in a child is not a true orthopedic emergency. In the past, many orthopedic surgeons preferred to delay surgical treatment till skeletal maturity; treatment consisted of bracing, rehabilitation, and sports restriction for many months with satisfactory short-term results [23-25]. For most pediatric athletes, conservative management may still be a reasonable treatment option. However, many pediatric athletes and their parents are less inclined to agree to restrict the athlete’s activity. In such cases, an ACL tear in the pediatric athlete treated conservatively can lead to additional instability episodes, meniscal tears, articular cartilage damage, and early-onset arthritis [4, 25-28]. Therefore, most recent literature now supports early surgery for pediatric athletes with an ACL- deficient knee and recurrent episodes of instability [27, 29-31]. As per current evidence, ACL surgery is about 90% successful in restoring knee stability and patient satisfaction . As per current evidence, non-operative treatment is offered to pediatric patients with partial tears with appreciable growth left, those with a negative pivot shift test and with less than 50% of fibers ruptured [5, 9, 33]. Non operative treatment consists of a dedicated knee physical therapy program as well as proprioception/neuromuscular re-education program and careful bracing. This involves close clinical supervision with a view for any recurrent instability or precipitation of meniscal/chondral injuries. Type 1, non-displaced tibial eminence fractures (McKeever Classification) are treated by immobilization in a above knee cast in 10-20 degrees of knee flexion [34-36]. Type 2 tibial eminence fractures with small displacement, reduction can be achieved with aspiration of hemarthrosis in some cases and then cast can be applied. Multiple timely discussions with the parents and the child about the appropriate surgical management options, careful assessment of skeletal maturity and associated intra-articular injuries assessment and understanding their goals and expectations are very important. The general indications for surgery are (1): the patient’s inability to participate in his or her chosen sport (2) instability that affects activities of daily living, (3) an associated treatable meniscal tear or chondral lesion and (4) a knee injury with multiple torn ligaments. Most orthopedic surgeons agree that the optimal surgical timing of ACL reconstruction is after full range of knee motion has been achieved, unless in the setting of a Tibia eminence fracture, bucket handle meniscal teal and multiple ligamentous injury [37, 38]. There are multiple techniques described in the literature ranging from extra articular reconstructions to all epiphyseal to transphyseal reconstructions with various hybrid techniques and graft choices. To simplify, these techniques can be divided into physeal sparing and transphyseal reconstructions. The decision to perform the type of reconstruction and the graft choice should be determined by the remaining growth potential left as determined by the Tanner staging  and determination of skeletal age by hand radiographs [19, 20]. The careful usage of both these techniques in combination to plan the type of reconstruction is recommended. The unique and important considerations in pediatric patients are the effect of tunnel size and the tunnel drill angle on the physis. The risk of physeal arrest increases when the physeal damage area affected by drilling increases more than 7%  and also the risk of arrest increases when the tunnel drill angle becomes more oblique . Graft tension is also an important determinant of physeal damage, the higher the tension, the more is the risk of physeal injury . Allograft usage is also shown to increase re-rupture rates . Literature suggests that small diameter tunnels with soft tissue autografts, vertical tunnel placement, avoiding implant or hardware fixation across the lateral distal femoral physis and less graft tensioning minimizes growth disturbances [39-42]. The ideal technique would be taking into these considerations as well as employing suitable mechanical modifications to ensure a stable, strong and physiological ACL reconstruction to ensure a rotationally and translationally stable knee. The treatment algorithms which aid in planning are described by Milewski et al. is based on the skeletal age and recommends Mitchelli-Kocher technique  of combined intra and extra articular physeal sparing reconstruction for a skeletal age of 6, the modified Anderson technique for skeletal age of 8 years, the Ganley- Lawrence all Epiphyseal technique for skeletal age of 10 , a hybrid technique for skeletal age of 12 and a transphyseal technique similar to adults for patients with skeletal age of 14 years or more. Another very useful recent algorithm proposed by Fabricant et al. takes into account various patient derived variables and skeletal age to appropriately determine the treatment course. The treatment algorithm which can be employed is displayed in Fig. (5). We prefer the Ganley Lawrence technique  of Arthroscopic. All epiphyseal inside hamstring autograft technique in prepubescent children (Fig. 6) with recent usage of O- arm and Navigation systems (Fig. 7) these all-epiphyseal all-inside techniques, are becoming more precise and easier to perform. Rehabilitation after ACL reconstruction needs to be individualized for each patient’s functional and sports ability demands and also tailored to the particular surgical procedure used. In general, a graduated rehabilitation program (usually a 5 Phase program) emphasizing full extension; immediate weight bearing; active range of motion; and strengthening of the quadriceps, hamstrings, hip, and core can be started in the first few weeks after surgery. Progressive re-habilitation during the first 3 months after surgery includes range-of-motion exercises, patellar mobilization, proprioceptive exercises, endurance training, and closed-chain strengthening exercises. Straight-line jogging, plyometric exercises, and sport-specific exercises are added after 4 to 6 months. Return to Sports can be achieved by 6-9 months. Fig. (5). Treatment algorithm for guiding ACL reconstruction in a pediatric athlete. Fig. (6). Diagram of Ganley-Lawrence all epiphyseal all inside technique. Fig. (7). Navigated physeal tunnel placement. Numerous operative techniques are described for reduction and fixation of displaced tibial eminence fractures including open  or arthroscopic [35, 36] which employ different fixation implants like sutures, metal screws, bioabsorbable nails, K wires and suture anchors. We prefer the arthroscopic hybrid all inside repair technique (Physeal sparing) using suture anchors recently described by Kim et al. , this is potentially safe for physes and affords rigid stable fixation (Fig. 8). Fig. (8). Hybrid All inside fixation of displaced Tibial eminence fracture by a suture anchor (Type III A or Type III B). Long leg splint was applied for 3 days, and the range of motion of the knee was gradually increased, followed by partial weight bearing for the next 4 weeks. Full weight bearing as tolerated after radiological union and return to sports after adequate strengthening usually after 3 months. The development of the pediatric athlete’s neuromuscular control, has been shown to be a modifiable risk factor for developing an ACL tear. There are two recognized prevention programs, the FIFA-11 [49, 50] and the PEP (Prevent injury and Enhancement Program) from Santa Monica , which are designed to improve the athlete’s neuromuscular control and, in turn, prevent ACL injuries. For young girls, the best window of opportunity for ACL injury risk reduction may be during early pubertal maturation, at or just before girls’ neuromuscular risk factors start to become evident and ACL injury rates in girls dramatically increase. In the clinical setting, we can use a simple drop vertical jump test to help us identify athletes at higher risk for ACL injury based on their landing mechanics and then recommend these individuals to designated therapists and training centers to work on their neuromuscular control. Anterior cruciate ligament injuries in pediatric patients are increasingly common. They can present as tibial eminence fractures, partial ACL injuries, and complete ACL tears. 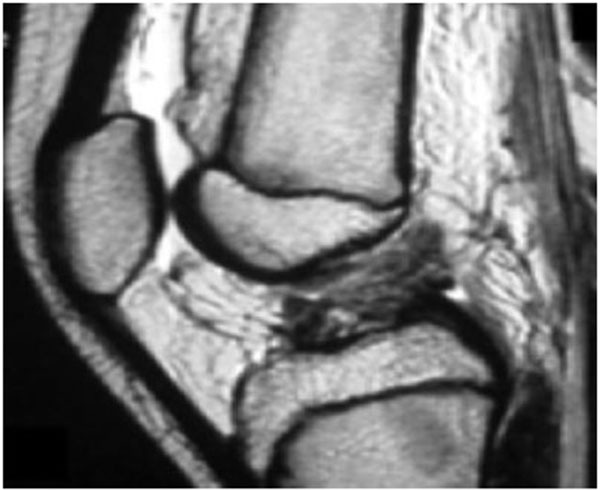 MRI can be valuable for diagnosing ACL tears and associated meniscal and chondral injury in the pediatric athlete whose physical examination is difficult to perform because of pain, swelling and lack of cooperation. An ACL tear in a pediatric patient is not a surgical emergency. Multiple discussions with the patient and parents are done with respect to the athlete’s goals and parental expectations and to educate the family about possible treatment options. The patient’ s skeletal age, measured by an anteroposterior radiograph of the left hand and wrist, and Tanner stage are important tools in planning the ideal surgical treatment technique. Surgical treatment has led to improved results in those with displaced eminence fractures, partial tears with a positive pivot shift under anesthesia, and complete ACL tears. Technique for ACL reconstruction is typically based on the status of the physis and various treatment algorithm guides are available to decide the best surgical option. Neuromuscular training appears to reduce the risk of injury in adolescent female and male athletes. Prevention training that incorporates plyometric and strengthening exercises, combined with feedback to athletes on proper technique, appears to be most the effective. The authors Vikas Trivedi, Panna Mishra and Deepankar Verma state that there are no conflicts of interest involved in preparation of this manuscript. The authors would like to acknowledge Dr. Jai Singh, Chief Resident, Department of Orthopedics, Era’s Lucknow Medical College for his help in the preparation of this manuscript. Shea KG, Pfeiffer R, Wang JH, Curtin M, Apel PJ. Anterior cruciate ligament injury in pediatric and adolescent soccer players: An analysis of insurance data. J Pediatr Orthop 2004; 24(6): 623-8. Stanitski CL, Harvell JC, Fu F. Observations on acute knee hemarthrosis in children and adolescents. J Pediatr Orthop 1993; 13(4): 506-10. Lohmander LS, Englund PM, Dahl LL, Roos EM. The long-term consequence of anterior cruciate ligament and meniscus injuries: Osteoarthritis. Am J Sports Med 2007; 35(10): 1756-69. Lawrence JT, Argawal N, Ganley TJ. Degeneration of the knee joint in skeletally immature patients with a diagnosis of an anterior cruciate ligament tear: Is there harm in delay of treatment? Am J Sports Med 2011; 39(12): 2582-7. Kocher MS, Saxon HS, Hovis WD, Hawkins RJ. Management and complications of anterior cruciate ligament injuries in skeletally immature patients: Survey of the Herodicus Society and The ACL Study Group. J Pediatr Orthop 2002; 22(4): 452-7. Koman JD, Sanders JO. Valgus deformity after reconstruction of the anterior cruciate ligament in a skeletally immature patient. A case report. J Bone Joint Surg Am 1999; 81(5): 711-5. Mohtadi N, Grant J. Managing anterior cruciate ligament deficiency in the skeletally immature individual: A systematic review of the literature. Clin J Sport Med 2006; 16(6): 457-64. Woods GW, O'Connor DP. Delayed anterior cruciate ligament reconstruction in adolescents with open physes. Am J Sports Med 2004; 32(1): 201-10. Tjoumakaris FP, Donegan DJ, Sekiya JK. Partial tears of the anterior cruciate ligament: Diagnosis and treatment. Am J Orthop 2011; 40(2): 92-7. Perugia D, Basiglini L, Vadalà A, Ferretti A. Clinical and radiological results of arthroscopically treated tibial spine fractures in childhood. Int Orthop 2009; 33(1): 243-8. Kocher MS, Micheli LJ, Gerbino P, Hresko MT. Tibial eminence fractures in children: Prevalence of meniscal entrapment. Am J Sports Med 2003; 31(3): 404-7. Tudisco C, Giovarruscio R, Febo A, Savarese E, Bisicchia S. Intercondylar eminence avulsion fracture in children: Long-term follow-up of 14 cases at the end of skeletal growth. J Pediatr Orthop B 2010; 19(5): 403-8. Bach BR Jr, Warren RF, Wickiewicz TL. The pivot shift phenomenon: results and description of a modified clinical test for anterior cruciate ligament insufficiency. Am J Sports Med 1988; 16(6): 571-6. Guenoun D, Le Corroller T, Amous Z, Pauly V, Sbihi A, Champsaur P. The contribution of MRI to the diagnosis of traumatic tears of the anterior cruciate ligament. Diagn Interv Imaging 2012; 93(5): 331-41. Moore SL. Imaging the anterior cruciate ligament. Orthop Clin N Am 2002; 33(4): 663-74. Umans H, Wimpfheimer O, Haramati N, Applbaum YH, Adler M, Bosco J. Diagnosis of partial tears of the anterior cruciate ligament of the knee: Value of MR imaging. AJR Am J Roentgenol 1995; 165(4): 893-7. Lawrance JA, Ostlere SJ, Dodd CA. MRI diagnosis of partial tears of the anterior cruciate ligament. Injury 1996; 27(3): 153-5. Tanner JM, Whitehouse RH. Clinical longitudinal standards for height, weight, height velocity, weight velocity, and stages of puberty. Arch Dis Child 1976; 51(3): 170-9. Gruelich WW, Pyle SI. Radiographic atlas of skeletal development of the hand and wrist. 2nd ed. Stanford: Stanford University Press 1959. Pyle S, Hoerr N. A radiographic standard of reference for the growing knee. Springfield, IL: Charles Thomas 1969. Dvorak J, George J, Junge A, Hodler J. Age determination by magnetic resonance imaging of the wrist in adolescent male football players. Br J Sports Med 2007; 41(1): 45-52. Engebretsen L, Steffen K, Bahr R, et al. The International Olympic Committee Consensus statement on age determination in high-level young athletes. Br J Sports Med 2010; 44(7): 476-84. McCarroll JR, Rettig AC, Shelbourne KD. Anterior cruciate ligament injuries in the young athlete with open physes. Am J Sports Med 1988; 16(1): 44-7. Buckley SL, Barrack RL, Alexander AH. The natural history of conservatively treated partial anterior cruciate ligament tears. Am J Sports Med 1989; 17(2): 221-5. Mizuta H, Kubota K, Shiraishi M, Otsuka Y, Nagamoto N, Takagi K. The conservative treatment of complete tears of the anterior cruciate ligament in skeletally immature patients. J Bone Joint Surg Br 1995; 77(6): 890-4. Graf BK, Lange RH, Fujisaki CK, Landry GL, Saluja RK. Anterior cruciate ligament tears in skeletally immature patients: meniscal pathology at presentation and after attempted conservative treatment. Arthroscopy 1992; 8(2): 229-33. Aichroth PM, Patel DV, Zorrilla P. The natural history and treatment of rupture of the anterior cruciate ligament in children and adolescents. A prospective review. J Bone Joint Surg Br 2002; 84(1): 38-41. Millett PJ, Willis AA, Warren RF. Associated injuries in pediatric and adolescent anterior cruciate ligament tears: Does a delay in treatment increase the risk of meniscal tear? Arthroscopy 2002; 18(9): 955-9. Anderson AF. Transepiphyseal replacement of the anterior cruciate ligament using quadruple hamstring grafts in skeletally immature patients. 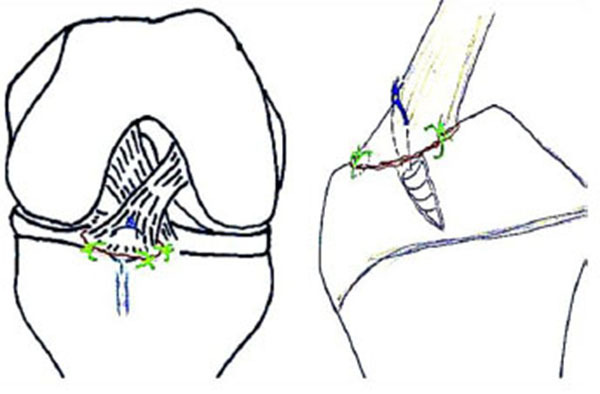 J Bone Joint Surg Am 2004; 86-A Suppl 1(Pt 2): 201-9. Beynnon BD, Johnson RJ, Abate JA, Fleming BC, Nichols CE. Treatment of anterior cruciate ligament injuries, part I. Am J Sports Med 2005; 33(10): 1579-602. Kocher MS, Smith JT, Zoric BJ, Lee B, Micheli LJ. Transphyseal anterior cruciate ligament reconstruction in skeletally immature pubescent adolescents. J Bone Joint Surg Am 2007; 89(12): 2632-9. Freedman KB, DAmato MJ, Nedeff DD, Kaz A, Bach BR Jr. Arthroscopic anterior cruciate ligament reconstruction: A metaanalysis comparing patellar tendon and hamstring tendon autografts. Am J Sports Med 2003; 31(1): 2-11. Mandelbaum BR, Silvers HJ, Watanabe DS, et al. Effectiveness of a neuromuscular and proprioceptive training program in preventing anterior cruciate ligament injuries in female athletes: 2-year follow-up. Am J Sports Med 2005; 33(7): 1003-10. McLennan JG. Lessons learned after second-look arthroscopy in type III fractures of the tibial spine. J Pediatr Orthop 1995; 15(1): 59-62. Meyers MH, McKeever FM. Fracture of the intercondylar eminence of the tibia. J Bone Joint Surg Am 1970; 52(8): 1677-84. Willis RB, Blokker C, Stoll TM, Paterson DC, Galpin RD. Long-term follow-up of anterior tibial eminence fractures. J Pediatr Orthop 1993; 13(3): 361-4. Shelbourne KD, Wilckens JH, Mollabashy A, DeCarlo M. Arthrofibrosis in acute anterior cruciate ligament reconstruction. The effect of timing of reconstruction and rehabilitation. Am J Sports Med 1991; 19(4): 332-6. Cipolla M, Scala A, Gianni E, Puddu G. Different patterns of meniscal tears in acute anterior cruciate ligament (ACL) ruptures and in chronic ACL-deficient knees. Classification, staging and timing of treatment. 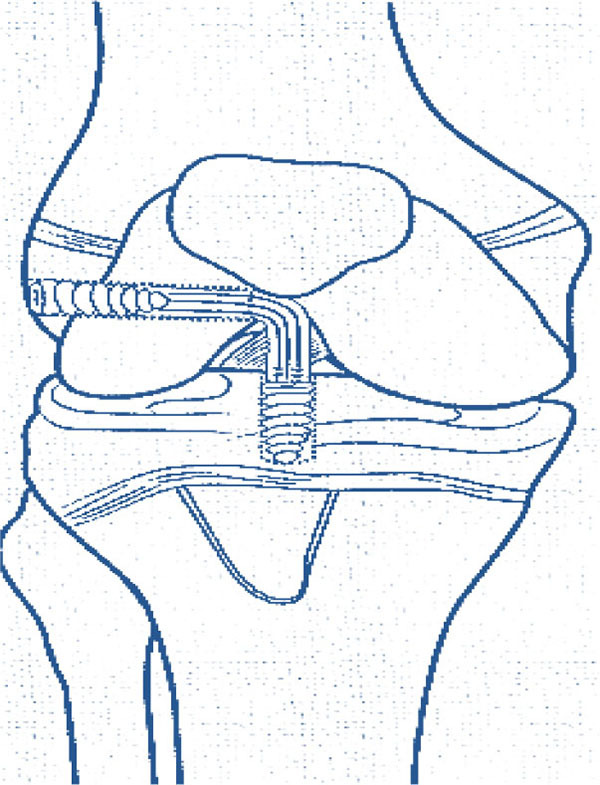 Knee Surg Sports Traumatol Arthrosc 1995; 3(3): 130-4. Guzzanti V, Falciglia F, Gigante A, Fabbriciani C. The effect of intra-articular ACL reconstruction on the growth plates of rabbits. J Bone Joint Surg Br 1994; 76(6): 960-3. Shea KG, Grimm NL, Belzer JS. Volumetric injury of the distal femoral physis during double-bundle ACL reconstruction in children: A three-dimensional study with use of magnetic resonance imaging. 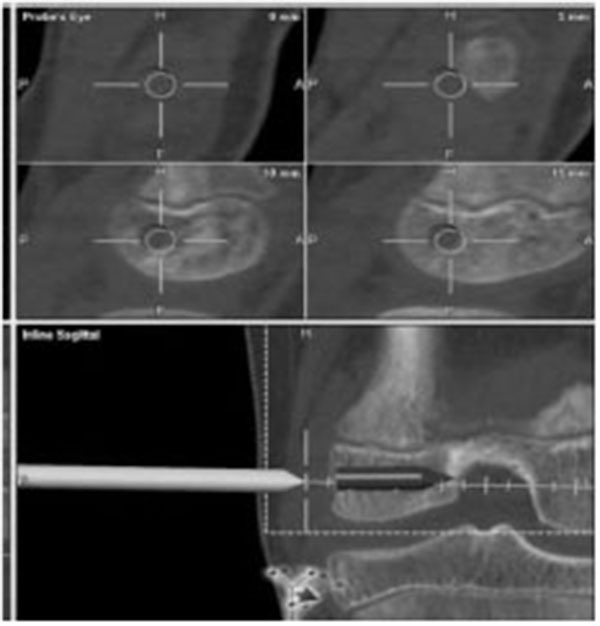 J Bone Joint Surg Am 2011; 93(11): 1033-8. Edwards TB, Greene CC, Baratta RV, Zieske A, Willis RB. The effect of placing a tensioned graft across open growth plates. A gross and histologic analysis. J Bone Joint Surg Am 2001; 83-A(5): 725-34. Kaeding CC, Aros B, Pedroza A, et al. Allograft versus autograft anterior cruciate ligament reconstruction: predictors of failure from a MOON Prospective Longitudinal Cohort. Sports Health 2011; 3(1): 73-81. Milewski MD, Beck NA, Lawrence JT, Ganley TJ. Anterior cruciate ligament reconstruction in the young athlete: A treatment algorithm for the skeletally immature. Clin Sports Med 2011; 30(4): 801-10. Kocher MS, Garg S, Micheli LJ. Physeal sparing reconstruction of the anterior cruciate ligament in skeletally immature prepubescent children and adolescents. J Bone Joint Surg Am 2005; 87(11): 2371-9. Lawrence JT, Bowers AL, Belding J, Cody SR, Ganley TJ. All-epiphyseal anterior cruciate ligament reconstruction in skeletally immature patients. Clin Orthop Relat Res 2010; 468(7): 1971-7. Fabricant PD, Kristofer JJ, Demetris D, et al. Reconstruction of the anterior cruciate ligament in the skeletally immature athlete: A review of current concepts, AAOS exhibit selection. J Bone Joint Surg Am 2013; 95(5): e28. Molander ML, Wallin G, Wikstad I. Fracture of the intercondylar eminence of the tibia: A review of 35 patients. J Bone Joint Surg Br 1981; 63-B(1): 89-91. Kim JI, Kwon JH, Seo DH, et al. Arthroscopic hybrid fixation of a tibial eminence fracture in children. Arthrosc Tech 2013; 2(2): e117-20. Gatterer H, Ruedl G, Faulhaber M, Regele M, Burtscher M. Effects of the performance level and the FIFA 11 injury prevention program on the injury rate in Italian male amateur soccer players. J Sports Med Phys Fitness 2012; 52(1): 80-4.